I am writing to give you an update on the progress that has been made on Prompt Payment legislation over the past few weeks. The first reading of Bill 119, named the Builders Lien and Prompt Payment Act, passed on March 15, 2019. Rather than introduce entirely new legislation, Prompt Payment was added on to the existing Builder’s Lien Act. You can view Bill 119 as introduced by clicking HERE. To align with similar initiatives across Canada, we have recommended that the Province of Nova Scotia adopt very similar language as has been used in Ontario. On Monday, April 8th Bill 119 was reviewed by the Law Amendments Committee. Representations were made by stakeholders, including CANS. The Committee passed a motion referring the Bill back to a Committee of the Whole. While some suggested tweaks and additions were made by those presenting, it is CANS position that any required adjustments can be accommodated in regulation. We therefore expect that Bill 119 will pass third reading before the House rises at the end of April. We anticipate stakeholder consultations to take place over the summer with the Bill being proclaimed in the fall of 2019. Through designation of Honourary Life Membership, CANS wishes to honour individuals who, through their deeds and actions, have significantly contributed to the betterment of the Association and/or the industry and attainment of its goals and visions. Are you currently on a surcharge list or have a demerit with your WCB assessment rate? Do you understand the importance of return to work after an incident in a workplace? Do you want to learn how to reduce your WCB Costs? 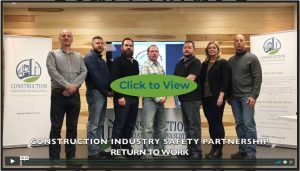 Come and participate in a Construction Industry Safety Partnership (CISP) /Construction Association of Nova Scotia (CANS) Lunch and Learn/webinar that will outline how you can facilitate return to work in your workplaces. 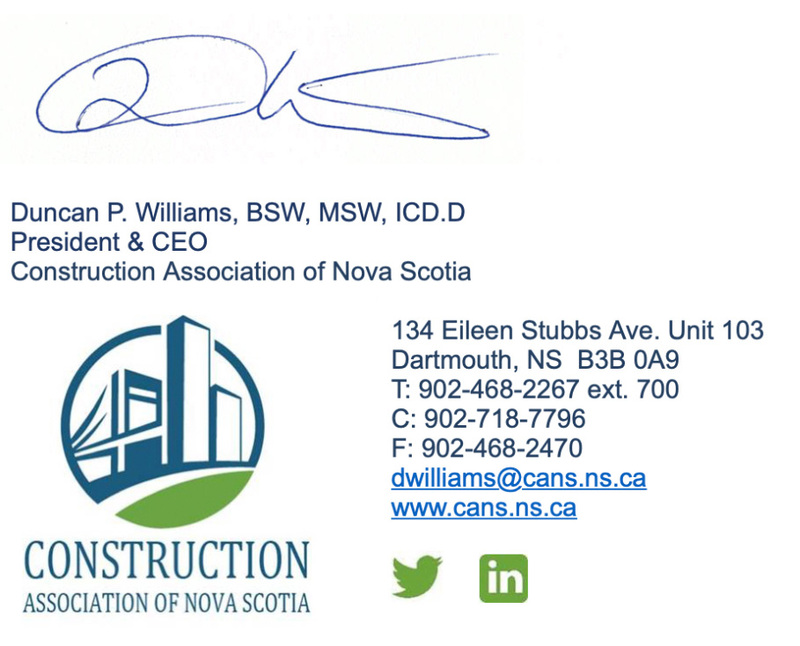 The CANS 2019 Toromont Cat and Battlefield Equipment De-Icer is Nova Scotia’s largest construction networking event and kicks off the upcoming construction season. It’s a great way for attendees to celebrate the industry, expand your network, reward your employees and enjoy live entertainment. Tickets are over 80% sold out. Our population is at a historic high. For the first time in a generation, population growth is nearing the national average. Employment grew, on average in 2018, at the most substantial annual rate since 2004. As of February 2019 (which had the lowest unemployment rate on record since 1976 when the current Labour Force Survey was first published), Nova Scotia had eight straight months of employment gains. For the first time in three decades, more youth are moving to Nova Scotia than are moving out. Disclosed raised venture capital increased by 347 per cent from 2013 to 2018, a higher growth rate than the national average. Record numbers of new immigrants have made Nova Scotia home, and more international students are choosing to stay than at any time in our history. Exports have diversified to new destinations and products. Non-energy exports have risen 40.4 per cent (2010–2017), enough to offset the decline in oil and gas, while exports to the growing Chinese market have increased by 118 per cent (since 2014). Government has balanced the budget since 2016. The net debt to GDP ratio continues to decline. As a result of strong fiscal management, Nova Scotia has among the top four credit ratings in Canada. Association of Nova Scotia’s members and industry partners. each listing cannot be 100 per cent guaranteed correct. for the changes to be made the following year.